FRANKFURT (Reuters) - Luxury carmaker Daimler (DAIGn.DE) is planning to invest up to 10 billion euros ($11 billion) in developing electric vehicles, its research and development head told a German daily. German firms are investing heavily in electric cars, once shunned for their high cost and limited operating range but now benefiting from recent advances in battery technology and a backlash against diesel fumes. Technological advances to increase the reach of an electric car by up to 50 percent are now spurring major investments by Volkswagen, Daimler and suppliers such as Bosch and Continental. "By 2025 we want to develop 10 electric cars based on the same architecture," Thomas Weber told Stuttgarter Zeitung's Saturday edition. "For this push we want to invest up to 10 billion euros," he said, adding three of the models will be Smart branded cars and that thanks to larger batteries they will be able to increase their cruising range up to 700 kilometers. In September, a person familiar with Daimler's plans said that the car maker plans to roll out at least six electric car models as part of its push to compete with Tesla (NasdaqGS:TSLA - News) and Volkswagen's (VOWG_p.DE) Audi. Separately, Daimler said on Friday that it will continue to sell diesel-powered vehicles in the United States, in contrast to German rival Volkswagen. "There is currently no decision nor are there considerations to withdraw diesel from the U.S.", a company spokesman said, denying a report from weekly magazine Der Spiegel, which had said the carmaker was considering stopping its sales of such cars in the U.S. next year. Diesel-powered cars account for less than one percent of the Mercedes brand's car sales in the U.S. this year, he added. That compares to a diesel car share of about 5 percent several years ago, Der Spiegel said. 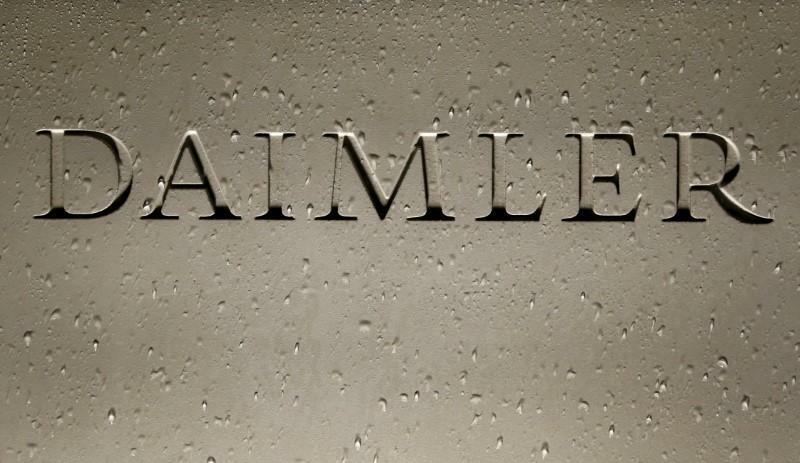 Daimler is conducting an internal investigation of its certification process for diesel exhaust emissions in the United States at the request of the Justice Department, after the U.S. Environmental Protection Agency said it would review all light-duty diesel vehicles. According to Der Spiegel, the potential pullback of diesel cars from the U.S. market is not related to this probe. Volkswagen said on Tuesday it would drop diesel vehicles in the United States and refocus on sport utility and electric vehicles, in the wake of a damaging diesel emissions cheating scandal.